Directed by the grandson of the founder, this family wine companye, created in 1920, remained in the heart of the Beaujolais wine, even if it distributes also wines of southernmost vineyards. It presented this Brouilly of a red almost black, discreetly fruity (strawberry, raspberry) and definitely floral. With the palate, if the flavours keep a certain reserve, the jury appreciated the flexible attack, which emphasizes a tannic structure of quality. This frame lets hope for a guard of at least two years. Disputer la phase finale du coup de coeur, c’était figurer parmi les quatre premiers. Celui-ci en était. Pour un chardonnay effervescent rond et complexe. Sa bulle est fine, un peu réservée. Son nez ? Une aventure : le miel, le fruit jaune à noyau… Long, intense, beurré, toujours miellé, il fait en bouche la revue de détail. Superbe. La soupe d’huîtres ne sera pas indigne de sa présence. 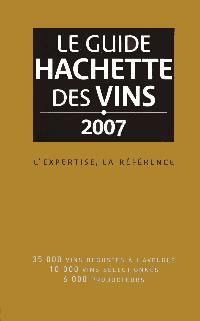 Jean-Jacques Baronnat, small son of the founder of this house created at the beginning of XXes, at 5 km of the Gothic castle of Montmelas-Saint-Sorlin presents a wine at the powerful flavours, at the same time fruity and peppered (spices), which are prolonged in a round and flexible flesh. Pleasant now.